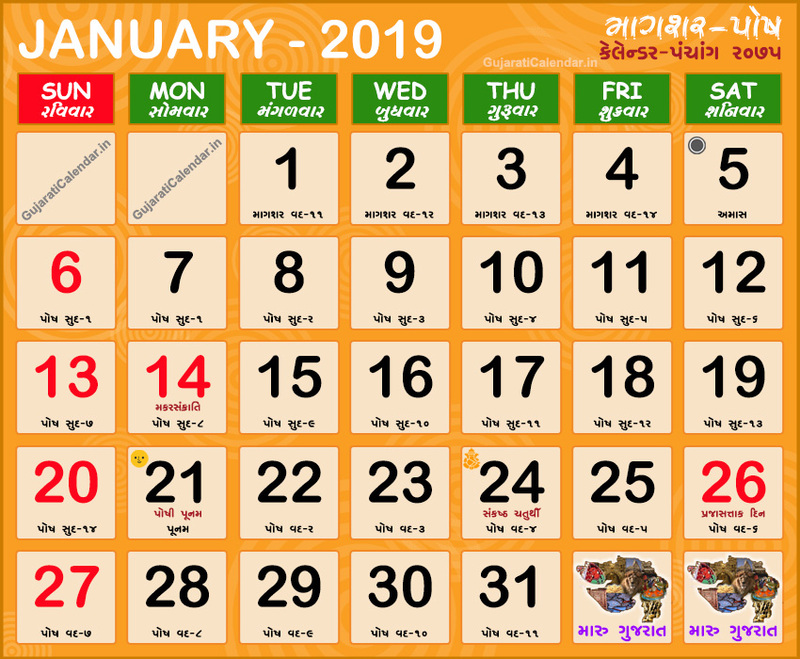 Gujarati calendar 2019 January showing festivals, holidays and tithi. January corresponds to the Gujarati months of Magshar Posh. Gujarati month Magshar Posh are the months of Shishir Rutu or Winter. The coldest months of the year occur in winter, which is known as Shishir Rutu. In this month comes hindu festival Makar Sankranti, festival of kites.